Whether your bathroom is big or small, it stores a lot of items, from shampoo and toothpaste to hair dryers and towels. 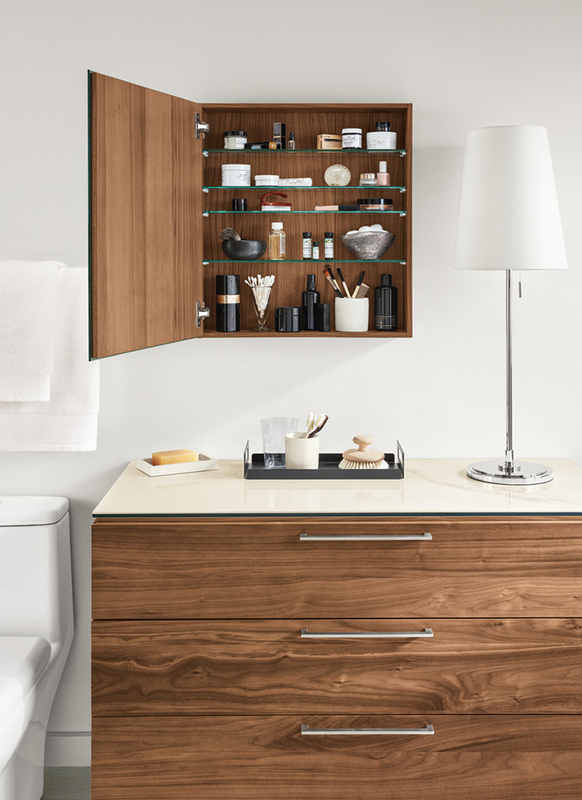 We gathered some of our favorite bath storage and organizational items to help you make the most of your space. Store bath essentials in our versatile Kori baskets. 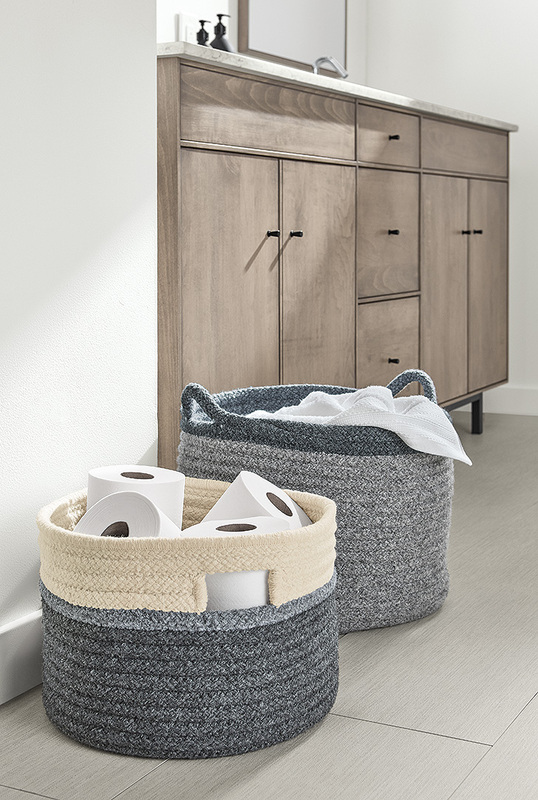 Crafted in Rhode Island, these bins have braided wool-blend fabric that gives your room texture and warmth. This handcrafted Cumberland porcelain tray creates a focal point while also providing a place for everyday items. An orchid brings a touch of nature indoors. 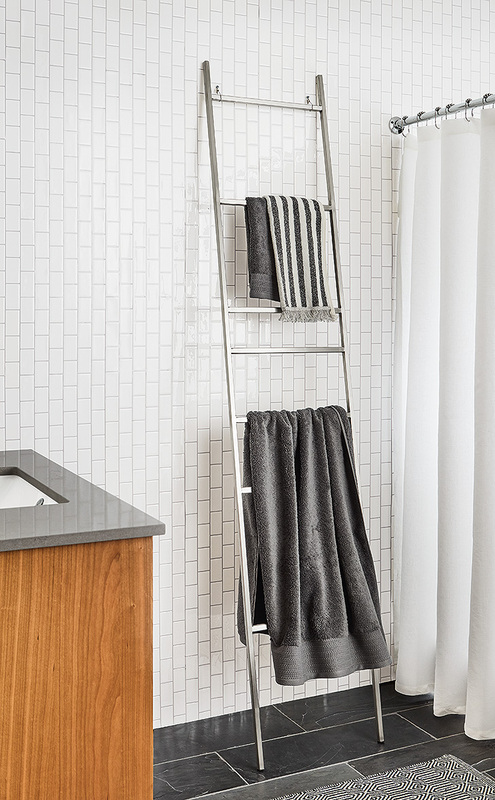 Add sculptural interest while keeping towels off the floor with the Slim stainless steel ladder. 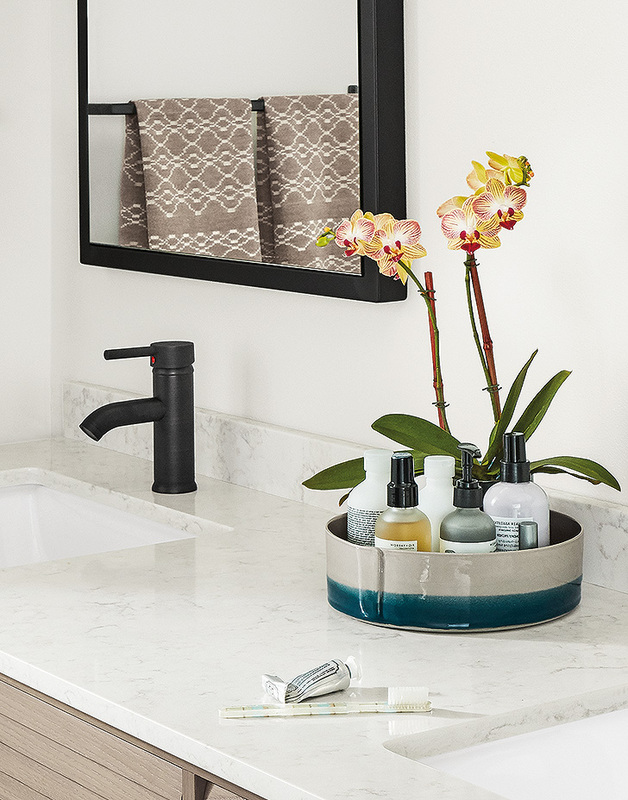 Its sleek design is an ideal finishing touch in a modern bathroom. 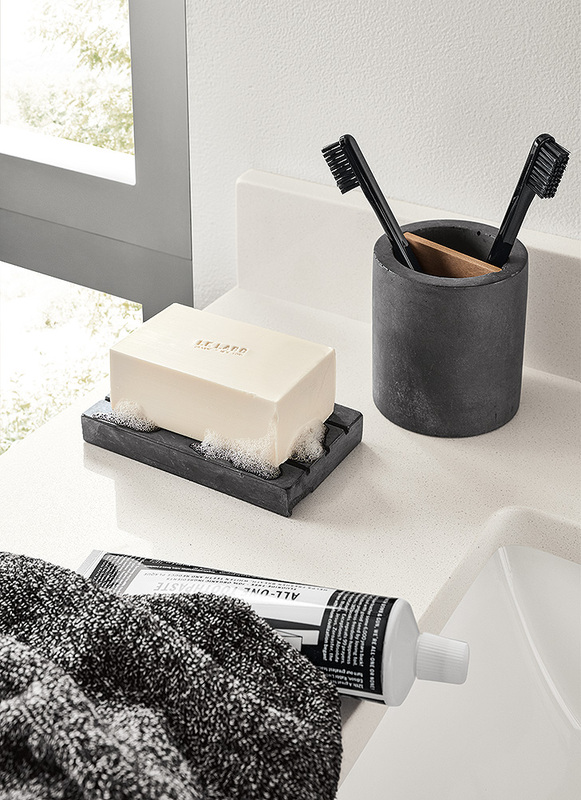 Our Saco soap tray and toothbrush holder keep essentials close at hand. Since they are cast from concrete, the pieces feel smooth as silk and are made to last. If you have a small countertop, take advantage of wall space for organization. 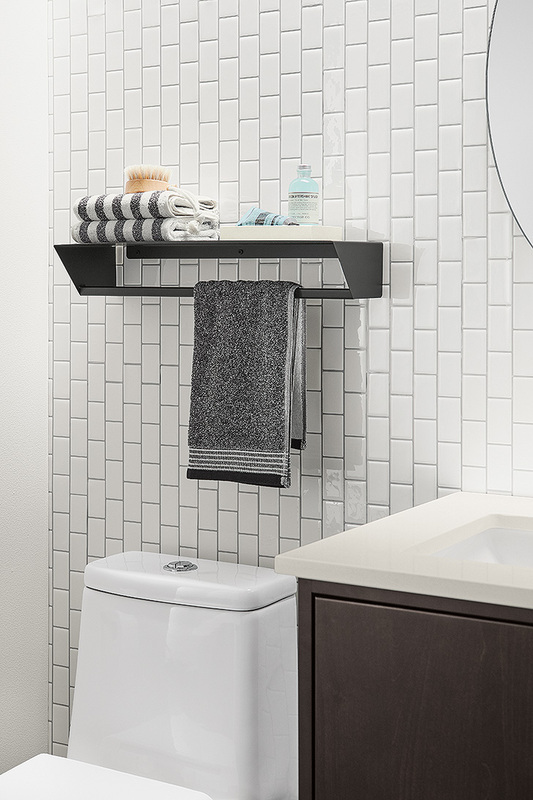 This Slim towel rack has a shelf to hold extra linens. Add a Saco tray to corral hair products and other small items. Our Durant medicine cabinet is perfect for that extra storage you need without taking up floor space! Plus, it doubles as a mirror. Hello, multifunction!